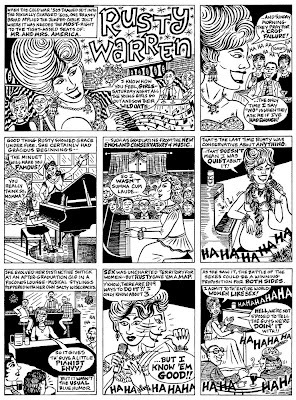 Life of the Party is a good introduction to her work, as would be particularly the three issues of Fleener, one of the several shortlived comics titles she's produced on her own or in collaboration (she was one of the most talented of the contributors to the durable Wimmen's Comix and one of the founding group of contributors to its heir, Twisted Sisters. 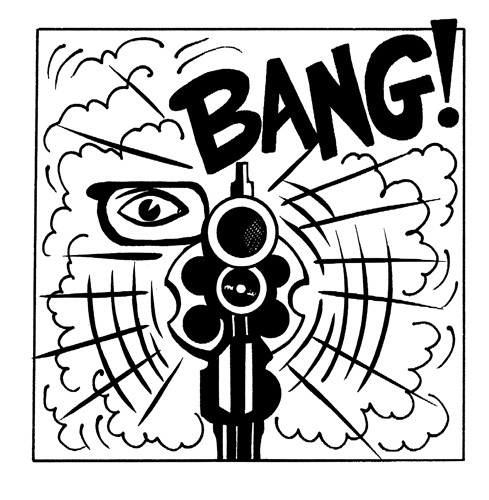 However, Life is, as too many books are, barely in print, from Fantagraphics and others. I matriculated at the University of Hawaii, Manoa as a prospective triple-major (English, Political Science, and an interdisciplinary Planetary Science major), in the Honors Program, and proceeded to take on 18-21 credits per semester of the most challenging courses I could make my way into for the first two semesters, while going in every direction that looked interesting extracirricularly. I was appointed Editor-in-Chief of Hawaii Review, the only literary magazine on campus in those years before Manoa, as an 18-year-old frosh; that appointment was rescinded by the Board of Publications for essentially frivolous reasons and against their own rules, without my (or my successor) being able to get the funds from the BOP to produce any issues. That, while enervating, was lost a bit in the rush of three friends and my campaign, as the Green Slate, for the student Senate of the Associated Students of UH...there were 19 senatorial slots in the College of Arts and Sciences, and 24 candidates. My friend Keiko was easily elected, and I came in 19th, so barely was; our running-mates Darius and Greg placed in the last five in vote totals. We were all motivated to one degree or another by opposition to the Maranatha Christian-cult incumbents on the Senate, who were able to ram through various questionable bills and resolutions in my freshman year; we foiled some of their further attempts, despite most of the executive offices in the new administration being held by Maranathans who had been senators the previous year (Keiko transferred to Barnard College at Columbia U over the summer, but Greg, whose brother was a newly elected Maranathan senator, and Darius were able to enter the senate as Keiko and others dropped out...one of the two School of Engineering senators, Kevin, was an ally on some of these matters, and was also, like Keiko, a punk-rock enthusiast rather more seriously than I was...as a favor, later, in part to thank him for letting me crash with his family, I bankrolled in part his concert event, the Second Pacific Nu Musik Festival, which was a watershed in Hawaiian punk and new wave events). 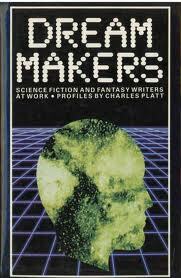 I also became, more by default than anything else, the president of the Honolulu Science Fiction Society. 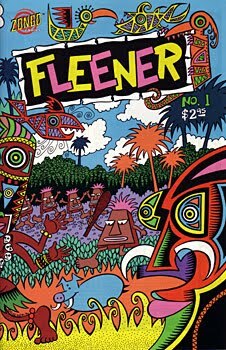 So it would be hard to blame my reading in those Hawaiian years for my extraordinarily mixed record as a student in 1982-1983, when after three semesters I dropped out of the UH, halfway through my incumbency, and having taken writing courses with Robert Onopa (a 300-level course as a second-semester freshman) and A. A. Attanasio (a graduate seminar in my sophomore year's first and only Hawaiian semester). 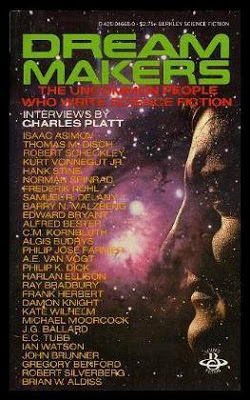 But I was certainly still reading The Magazine of Fantasy and Science Fiction and the horror-fiction magazine and anthology series Whispers and Ellery Queen's Mystery Magazine and while growing decreasingly happy with the tack The Atlantic was taking, this new incarnation of Harper's was interesting. 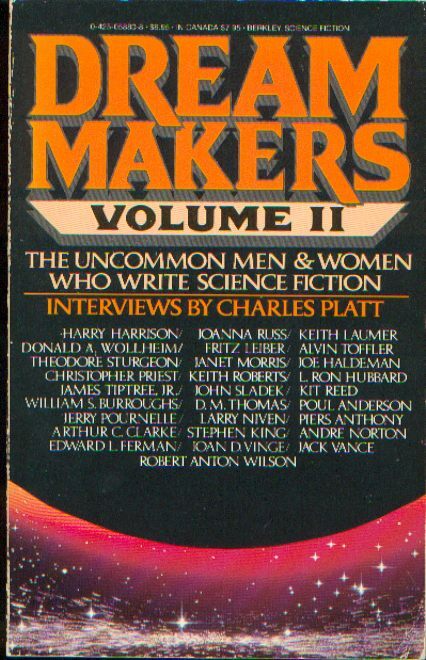 As was, among the books I was quite happy to find, the now rather obscure collection of interviews with and profiles of sf and fantasy writers called Dream Makers II, the second such volume, assembled by the ever-contentious Charles Platt, who nonetheless with these books was channeling the rather more openhearted and professionally smooth approach of one of his idols, Alfred Bester, who loved writing sf but loved writing and editing (and particularly profiling) for Holiday magazine in its glory years in the 1960s about as much. 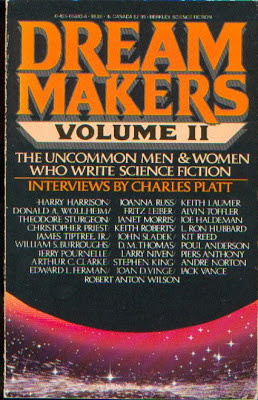 Platt's first volume did reasonably well, for a collection of interview-based essays, and Platt was able to get backing to touch base with a similar range of writers for the second volume, including such folks as the half-paralyzed and sporadically enraged Keith Laumer, grimly determined to get past the strokes that hadn't yet utterly incapacitated him; Joanna Russ explicitly Outing herself as lesbian, still a relatively bold move in 1983 even if not much of a suprise to those who'd been reading her more autobiographical work; Jerry Pournelle expressing his appreciation for Mussolini and the Fascists, and revealing that he had been, briefly, after his service in the US military in the Korean War, a member of the US Communist Party, largely out of disgust with what he'd just experienced (and, one gathered, his still-strong fetish for Order and Hierarchy), and generally reading how a second set of major writers in the field felt they should present themselves and their work, and what Platt made of them as interview subjects, usually in their homes when they were game to have him over. Fascinating stuff, and certainly Platt's piece on Theodore Sturgeon in this volume didn't make it any easier to miss (what would turn out to be) Sturgeon's last writers' workshop, on one of the neighbor islands, which I couldn't afford to attend so didn't apply for (this was in a period of trying to make my way without taking more money from my parents, which turned out not to work so very well in the depressed job market of 1983-84 Honolulu/Oahu). Well, having left Hawaii to rejoin my parents, brother and cat, who had moved in '83 to the DC suburbs in Virginia, I got some jerk jobs and began saving money to return to school there, going on to fill out some core requirements at Northern Virginia Community College in 1985, where in working on the campus paper I met Frank Lawrence, my Green/libertarian-left political interests didn't lessen, and in reading a column in Utne Reader about a Canadian journal that sounded particularly interesting, I sent off for a copy of Our Generation, the libertarian socialist and anarchist magazine, which in that issue featured long essays by Noam Chomsky and Murray Bookchin, and shorter pieces (iirc) by George Woodcock and Janet Biehl, among others. 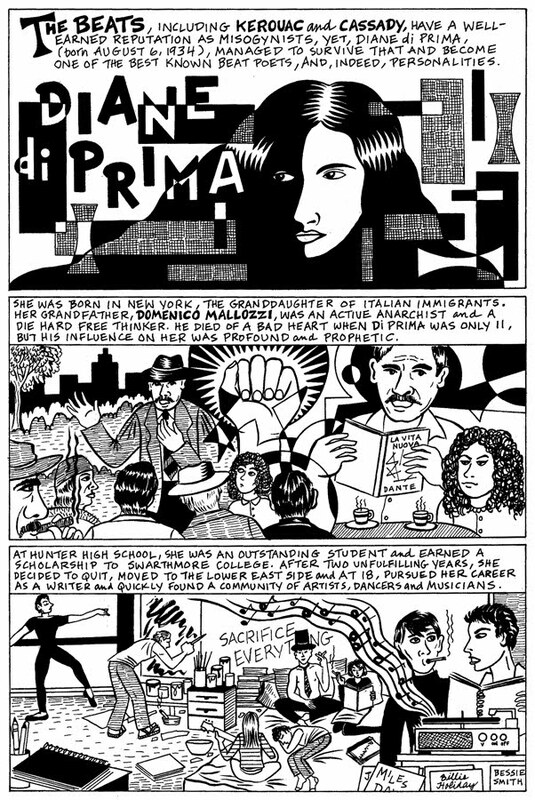 Our Generation would soon be supplemented by such more local productions as Social Anarchism, which I would eventually contribute to editorially, and such more farflung publications as The Match! 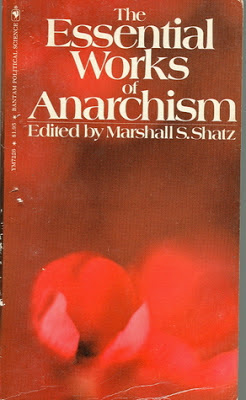 (from an eccentric DIY publisher in Arizona) and Freedom (the anarchist newspaper/newsletter of long standing out of England), and I cast about and supplemented reading the likes of Emma Goldman's massive and often breathtaking Living My Life and Woodcock's and Chomsky's and Daniel Guerin's books, and the likes of Sonia Johnson's political memoirs, with anthologies such as Marshall Shatz's slightly potted but useful and interesting Essential Works. 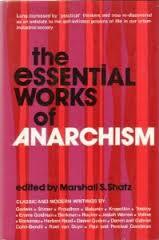 It was nice to have early work by such a Green mover and shaker as Daniel Cohn-Bendit handily cheek-by-jowl with that of Paul Goodman, and both brought together with such progenitors as Proudhon and Bakunin, Kropotkin and Godwin. As with Johnson, not a few of the feminists I was reading voraciously as well, very much including Joanna Russ and the all but anarchist Ursula Le Guin, were echoing much of what the left-libertarian foremothers had noted, applying it to new circumstances. 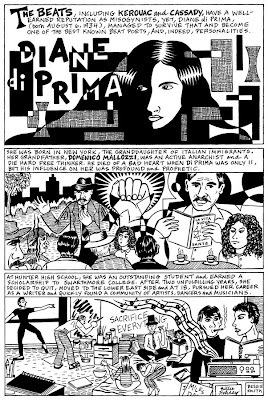 Both on my last academic campus, George Mason University, and off, I grew more involved with the anarchist, libertarian-socialist, Green and other activities at hand, and helped start a few. Very busy times. And some very good reading, to say the least. Description: xv, 300 p. : ports. ; 21 cm. RUDOLF ROCKER: The Anarchist "Melting Pot"
Mary Robinette Kowal has been showing this to people. Abbey Linoln, who'd just turned 80 on our mutual birthday anniversaries Friday a week ago, died yesterday. She made it to eighty. 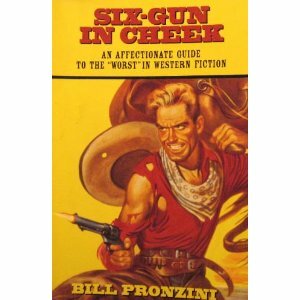 Bill Pronzini had assembled both Gun in Cheek (1982) and Son of Gun in Cheek (1987; perhaps sadly not Gun in the Other Cheek, which might be accused of echoing Ellison or the Secret Policemen) out of his fond memories of some of the worst in crime fiction, picking through his extraordinary personal library and beyond, and Mysterious Press published those, perhaps with not the greatest sales among his biliography but I doubt they actually lost money for anyone...but there wasn't as much publisher interest in a companion devoted to the similar worst of western fiction till Steve Stillwell and Bruce Taylor convinced him to do it for their Crossover Press in 1997, publishing a limited edition with minimal distribution...I have copies because Pronzini was willing to offer copies for sale from his own stash, and might still; interested parties should drop him an email at pronhack@comcast.net. Fantagraphics is a comics company with a mission to further the art of comics, and to provide a home for artiness...built around the relatively serious magazine, now a periodical book, The Comics Journal, their first big commercial splash was thanks to the Hernandez brothers, Jaime and Gilbert and occasionally Mario, the writer/artists of Love and Rockets, running accounts of life today and in various points in the past of characters in and around Los Angeles and, in Gilbert's stories, in a small town in an unnamed Central American country apparently south of Mexico. But L&R hasn't been the only project, either of the Hernandezes nor of Fantagraphics, which latter has had considerable commercial success of late with their complete collections, an ongoing series, of Charles Schulz's newspaper strips (they'll be tackling Walt Kelly soon)...and the publisher has been a haven for alternative comics over the last couple of decades, publishing (however irregularly) a number of anthologies and single-creator titles out of the "underground" and "alternative" traditions of the 1960s onward...the Hernandezes are of this community, as are such folks as Roberta Gregory and Dan Clowes. 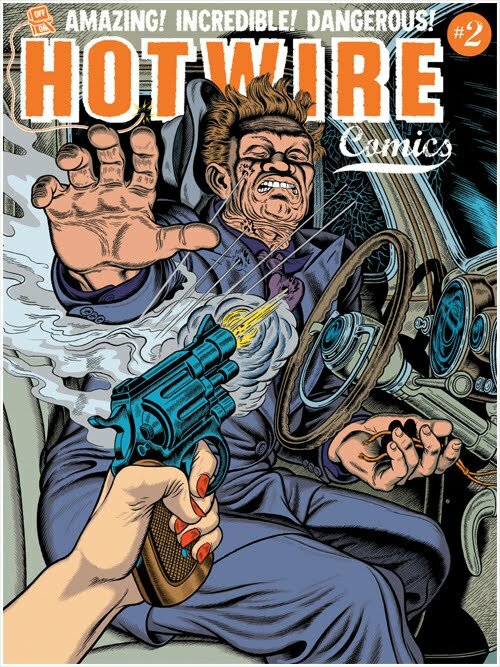 Which brings us to Hotwire (or at least this Hotwire, as opposed to, say, Warren Ellis's project of the same title), with the the slightly more sedate Mome the major anthology comics currently published by Fantagraphics, and both treated as periodical books rather than as newsstand magazines (times are tough, and the shelf-life of books is, of course, greater...and they are marginally less-wastefully distributed). 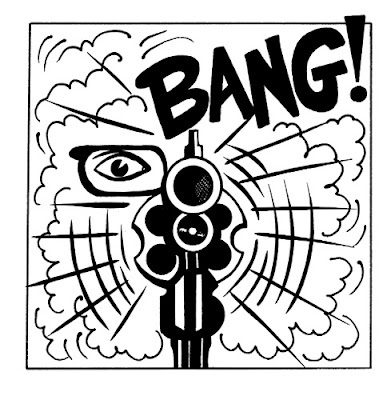 The 2008, second volume of the (I believe) ongoing annual series of oversized anthologies (the magazine has roughly the dimensions of Life or Interview magazines) is about evenly split between color and black and white comics, and features a mix of relatively straightforward narrative and utterly impressionistic comics art. 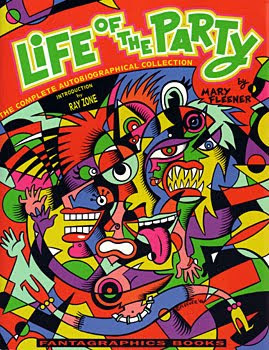 One of my old favorites, Mary Fleener, has an apparently autobiographical story involving a very bad trip involving PCP-laced pot ("Niacin")--as usually with Fleener, things get Very Cubist in her artwork as emotions run high and situations grow fraught. 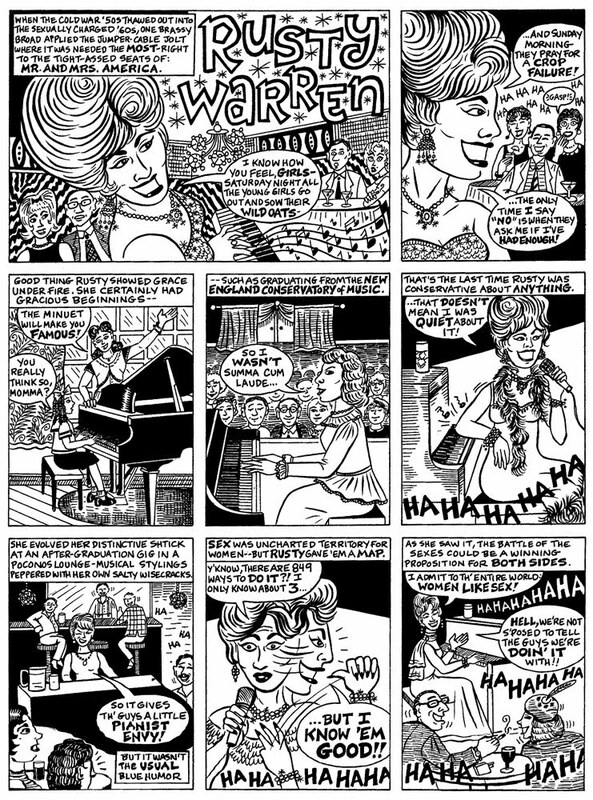 Editor Glenn Head (as to whether that's a nome di fumetti or whether these are legally Head comics is a question I haven't yet pursued) has a decent vignette from the intersecting lives of a stressed psychiatric patient and unhappy wife and the hardly happier Wilhelm Reich (and what befalls him, at least). It's quite a melange, including bits of hardboiled comics of the kind Fred Wertham wouldn't care for at all on over to those he might not be able to make hide nor hair of, including a rather blunt parody of Frank Miller, shown eating canned Mickey Spillane excrement for inspiration. Joe Bob would definitely have you check it out, even if the indulgence of some of the more rococo post-underground tendencies can get a bit heavy here. For more "forgotten" books today, please see Patti Abbott's blog. 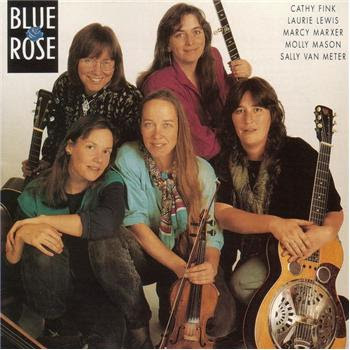 The largely Quatro-sister-populated band, including Suzi Quatro whose solo career peaked in the 1970s and Patti Quatro, who left the Pleasure Seekers and a few years later joined that other all-female band Fanny, flourished in Detroit in the mid to late 1960s, beginning to record in 1965. Big box bookstore chains are not quite dead, but continue to wane...B&N, the healthier of the two big chains, put itself up for sale today. Here's the online Publisher's Weekly account.